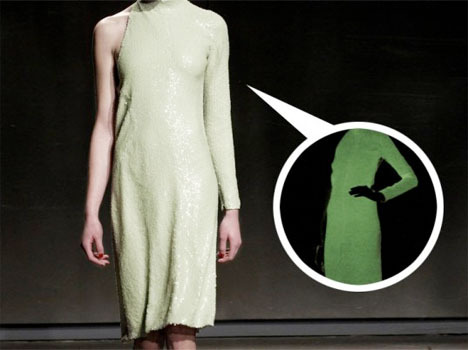 Call it ‘disaster couture’ – Halson has designed a sequin gown that can help lead the way in case of emergency, or just look really cool at night. 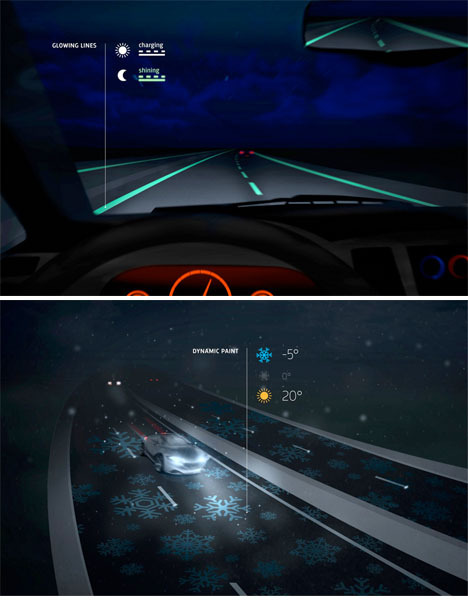 Glow in the dark paint could help make roads more safe and interactive as part of a ‘Smart Highway’ system developed by designer Daan Roosegaarde. Road lines and signs would be much more visible at night, improving safety, while ‘dynamic paint’ can make things like weather information available at a glance. 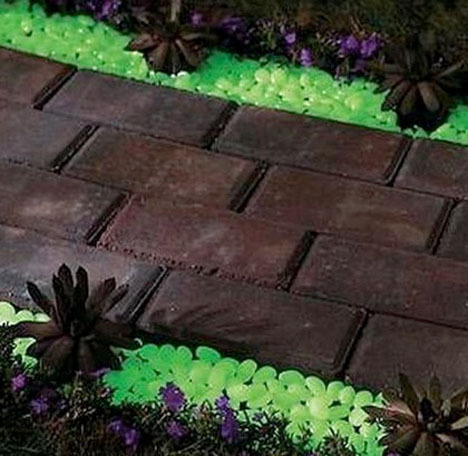 Glow in the dark gravel illuminates pathways without electricity. These ‘core glow’ stones will shine for 10 hours with just 2 hours of exposure to the sun, even when used underwater. They’re non-toxic, too. 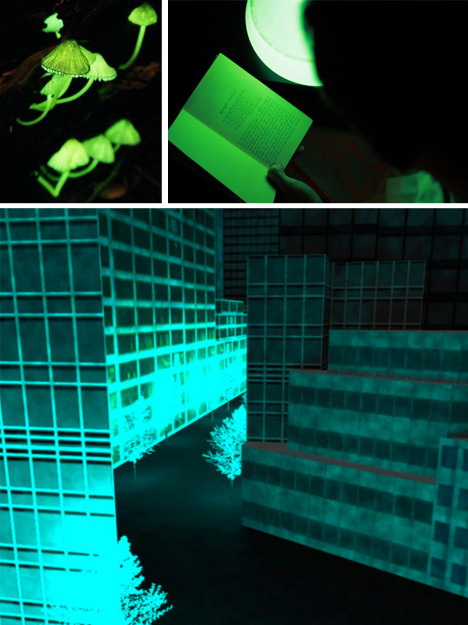 A team of researchers raised money on Kickstarter to experiment with glow-in-the-dark plants. The biologically engineered plants are part of a concept about using biology for a more sustainable life, rather than fighting it. Developing them requires gene sequencing with luciferin, the bioluminescent substance seen in fireflies and other insects, plants and animals that glow. The team will start with small household plants and work their way larger.